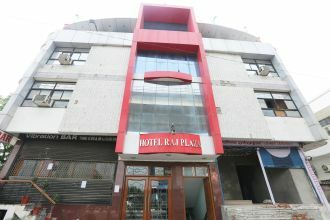 Hotel Raj Plaza, is located just 3 kms from the railway station and 7 kms from the airport. The multi-cuisine restaurant serves delectable dishes to the guests, while the in-house bar offers a choicest variety of liquors and wines. Bearing a total of 32 rooms, this place also boasts a conference room and a banquet hall. The amicable staff and their personalized service, makes your stay all the more enjoyable.